Claude Makelele won two La Liga titles, two Premier Leagues and the Champions League during his playing career. 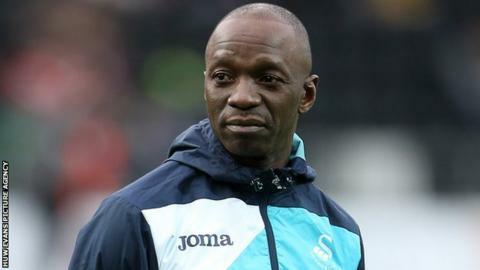 Former Chelsea and France midfielder Claude Makelele has signed a new contract to stay on as Swansea City assistant manager. Makelele joined on a short-term deal in January following the appointment of Paul Clement as manager. The 44-year-old has signed a new contract after Swansea secured their Premier League status. "He is a quiet, humble man considering what he did as a player. He has great experience and he has passed that on to the players." Makele won 71 caps for France and played for Real Madrid, Chelsea and Paris Saint-Germain.